Promoting STEM through the Siyanqoba Maths Training Programme, which trains 100 learners for the SA Maths Olympiad. A roadshow collaboration between Umjikelezo We-Science and STEC promoted science to 2100 rural high school students, and leading KZN scientists and academics joined the March for Science in Durban. 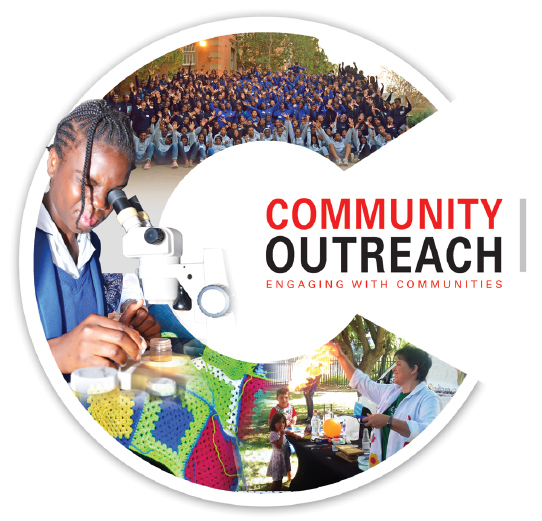 Chemistry hosted teachers and 74 learners from Mawele High School, and the Human Settlements, Engineering and eThekwini Transport Authority, Trading Cluster, and CAES hosted over 4000 learners for a STEM Careers Symposium. World Oceans Day made headlines through the School of Life Sciences’ celebration arranged by PhD candidate Ms Refilwe Mofokeng. Students in Construction Studies spread compassion by visiting 60 children living in the Lakehaven Child and Youth Care Centre in Durban.